A sunscreen allergy for your children is one of the most frustrating challenges facing families wanting to embrace the healthy goodness of time together outdoors. Today, non toxic sunscreen options are thankfully increasing, allowing for reduced side effects. However, even amidst this increasing number of more natural, healthy sunscreens, it pays to be diligent when it comes to understanding the possible causes of sunscreen allergy. Research over the last decade or so has revealed the importance of protecting against both UVA rays and UVB. Alongside this, it has become evident that the chemical sunscreen filters used to obtain high SPF (UVB spectrum mainly) do not offer high protection for UVA rays. Also, the one chemical sunscreen that does offer high UVA protection photo-degrades after a mere 8 minutes exposure to the sunlight. How the skin may be affected after sunscreens are exposed to sunlight and the resulting degradation products that form is a question well worth asking if interested in sunscreen allergy. The University of Gothenburg and Chalmers University of Technology investigated this in detail and presented their results at a dermatologist conference in Gothenburg. With the growing global awareness of the potential for skin cancer if not careful about sun exposure, there is an ever increasing number of contact allergy and photo-contact allergy to sun protection products. "We know that chemical sunscreens pass through the skin into our bodies, but we don't know what effects they have on us," said Isabella Karlsson, a doctoral student at the Department of Chemistry at the University of Gothenburg's Faculty of Science. "Many of them actually break down in the presence of sunlight. We therefore wanted to look at what can happen to the chemical sun protection agents when exposed to UV rays, and how the degradation products that form affect the skin." The results of their studies revealed the following: "Arylglyoxales, one of the degradation products, turned out to be highly allergenic," says Karlsson. "Which could explain why some people are allergic to creams that contain dibenzoylmethanes, which is one of the UVA-absorbing substances in sunscreens." This provided some insight into the mechanism behind photo-contact allergies. Understanding this in more detail could perhaps lead to sunscreens being developed without a sunscreen allergy effect. 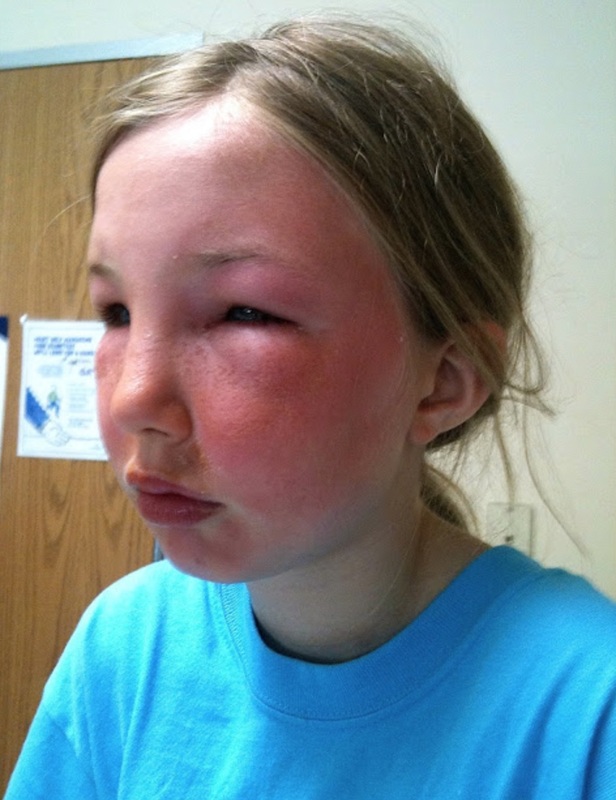 One of the outcomes from this discovery is that the healthcare system is developing a new test for patients with a suspected photo-contact allergy. "We're just starting to work with various dermatology clinics on assessing the test," explains Karlsson. "So more patients will be able to find out whether they have photo-contact allergy, which could help them in their everyday lives and reduce the burden on the healthcare system." There has been a marked increase in the level of frequency of reports of photo-allergy and allergy to chemical sunscreens from the general population over the last decade. This is possibly due to a vast increase in the exposure to sunscreen filters, since they are no longer used only in sunscreens, but also added to everyday facial cosmetics and body creams to protect the skin from photo-aging. The exposure of photo-degradation in some of the chemical sunscreen filters is not necessarily being raised as a concern where these cosmetics are concerned, never mind the potential toxic element of the chemical ingredients used. 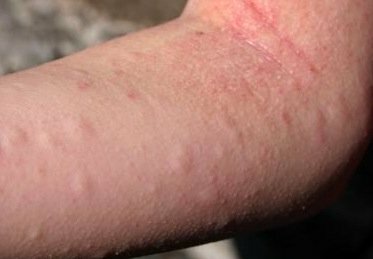 Some people have an "irritant reaction" to sunscreen, where a few are actually allergic. A common allergen in commercial sunscreens is the chemical benzophenone, he said, which also goes by the names phenyl ketone, diphenyl ketone, or benzoylbenzene. Although it isn't clear exactly how much benzophenone is absorbed into the bloodstream, the substance has been found in study participants' urine samples. Although there is no evidence considered strong enough to prevent the use of chemical sunscreen filters, organisations such as the Canadian Dermatology Association (www.dermatology.ca/) say that people allergic to or intolerant of chemical ingredients should look for sunscreen products that reflect the sun's rays rather than absorb them and are nontoxic - like titanium dioxide and zinc oxide. Parabens in their many forms (methylparaben, propylparaben, ethylparaben, or butylparaben) are a class of artificial preservatives widely used in cosmetics and personal care products that are being investigated for their possible role in breast cancer. Parabens mimic the activity of estrogen in the body and estrogen promotes the growth of breast cancer cells. Derived from crude oil, examples include petrolatum, mineral oil, and paraffin (derived from nonrenewable sources) and they form a barrier when applied to the skin that does not allow it to breathe and can clog pores. Sodium laureth sulfate and polyethylene glycol are common examples of ethoxylated compounds created when ingredients are processed with petroleum-derived ethylene oxide. They also create 1,4-dioxane, which is a chemical carcinogen. A humectant that keeps substances from drying out, it was originally developed as an anti-freeze, but is now included in some deodorants and antiperspirants. It is a neurotoxin known to cause contact dermatitis, kidney damage, and liver damage. Made from coal tar, they contain heavy metal salts that may deposit toxins onto the skin, causing skin sensitivity and irritation. Animal studies have shown almost all of them to be carcinogenic. They will be labeled as FD&C or D&C, followed by a colour and a number. These often contain phthalates, which are synthetic chemicals commonly used to stabilise fragrances and make plastic more pliable. They are endocrine disrupters that mimic hormones and may alter genital development. Avoid products that list fragrance as these are common causes of sunscreen allergy reactions. These are "amines" (ammonia compounds) and can form harmful nitrosamines when they come in contact with nitrates. Used as foaming agents, synthetic stabilizers, and to adjust the pH of cosmetics, they can cause allergic reactions, eye irritation, and dryness of the hair and skin. DEA and TEA both could be toxic if absorbed into the body over a long period of time where DEA can cause liver and kidney damage and TEA can cause allergic reactions. An artificial antimicrobial chemical, it is used to kill bacteria on the skin and other surfaces. Triclosan is a common skin irritant and may cause contact dermatitis. Sodium lauryl and sodium laureth as examples, are harsh detergents that give cleansers, soaps, and shampoos their latherability. Often derived from petroleum, sulfates can also come from coconut and other vegetable oils that can be contaminated with pesticides. Sodium polyacrylate and carbomer as examples, are also derived from petroleum and give viscosity to skincare products. They are highly processed and their manufacture process creates toxic by-products commonly causing sunscreen allergy reactions. University of Gothenberg, "Sunscreens and their role in photo-allergy"